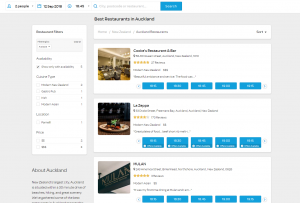 Previously, the results for each area or cuisine showed the highest rated venues at the top, regardless of whether they had available tables or not. To ensure we’re providing the best experience for diners, as well as encouraging bookings, we’ve changed it to show the highest rated restaurants that have availability first. This means that your restaurant will have much higher visibility (and a better chance of you getting bookings) if you keep your reservations open throughout service. This might be a bit of a change for some of you, but our Hospitality Consultants are experts on making this work for all types of businesses and will be delighted to show you. Release 11.20 will be available in your diaries from 12.09.2018.